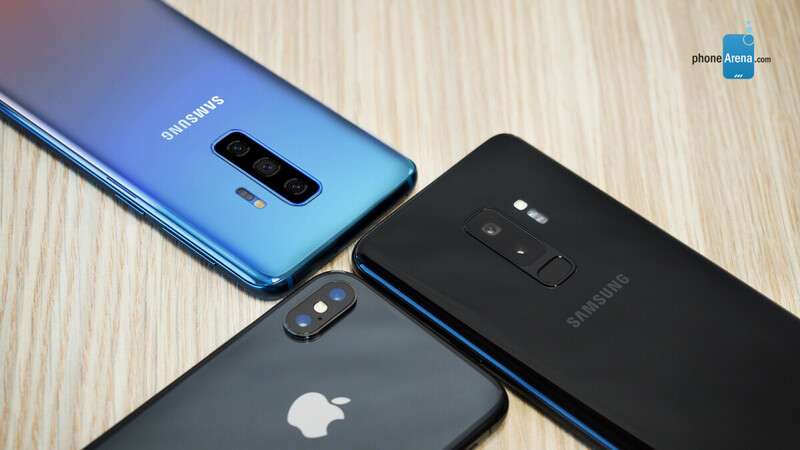 The top Galaxy S10 model is widely expected (pun intended) to sport three cameras on the back, and today Korean media reiterates this notion while detailing the camera parts' suppliers. We say pun intended because the S10+ is supposed to land the Holy Grail of lens technologies in one handset - a main 12 wide-angle camera, a super wide-angle 16MP one, and a 13 MP telephoto cam for what may end up being 3x optical zoom efforts like on Huawei's flagships. We won't bore you with details what company supplied what flexible cable, but will just extract what interests us as end consumers - which S10 model gets how many cameras, front and back. Starting with the cheapest expected member of the extended S10 family, with the so-called "S10 Lite" moniker, it is reportedly going to ship with a dual camera on the back, and a single selfie snapper. That is still one more camera than the current S9, so no complaints here. This one is expected to sport a simple flat, instead of a curved OLED display, which will appeal to a lot of Samsung fans, so the company seems to be cutting costs from the right places with the eventual "Lite" model. Moving on to the next level, the S10, or whatever it's marketed as, will add one more camera - an extra front-facing snapper for reasons yet a mystery. The top-end S10+ model will allegedly up the ante with a wide-angle rear camera, in addition to the dual front and back cameras of the S10, for a total of five. Last but not least, there is the hexa-camera S10 5G version, of which Samsung reportedly plans to produce only 2 million units, given that only Korea and a few other countries will have 5G networks up and running in full bloom for the spring. That one may add a time-of-flight 3D-sensing camera for AR/VR purposes, in addition to what the S10+ would have. There you have it, and the source is quick to note that "the Galaxy S10 series has significantly improved camera performance." No kidding. I love the TL;DR at the beginning. Please keep it! To be honest I think this new fashion with multiple lens configurations is getting a bit silly and totally out of hand. I'm not sure I want my phone to look like a compound insect eye, full of cameras sprouting from everywhere just to have a minimal gain in picture quality. Already now we can see that many phones with multiple lenses don't achieve automatically better results and if they do, the benefits are so minimal that they are on the limit of statistical error. Have to agree with that. Anything over 2 in back and 1 good front is to much. LOL, Samsung article about Samsung phones but, PA has to get the iphone in it some how. Why would you need 2 holes? The Galaxy S9+ and Note 9 both have a dual aperture sensor. So I am sure they can do the same thing with a single camera on the front. Why not also, 2 sensors using a single hole. The would then just need to be slightly wider, when you consider how small the front facing camera is. So dual front facing camera is gonna have two O holes on the screen? I think Im going with the "Light" version. Still getting zoom in the back and paying least for it. Two front facing cameras in a single hole - impressive! Specs wise but the price is a big turn down. They have to price this against Huawei and not apple.